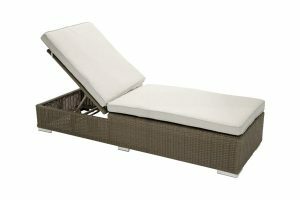 The Coral Beach Collection brings deep seating comfort to your yard along with timeless design and easy maintenance. 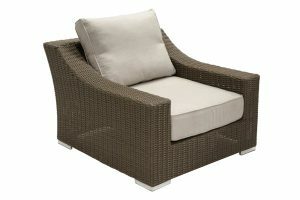 This transitional design with an extra wide arm and deep seat speak volumes on your patio. The Latte frame combines warm light brown and grey tones to match with almost any outdoor landscape elements. 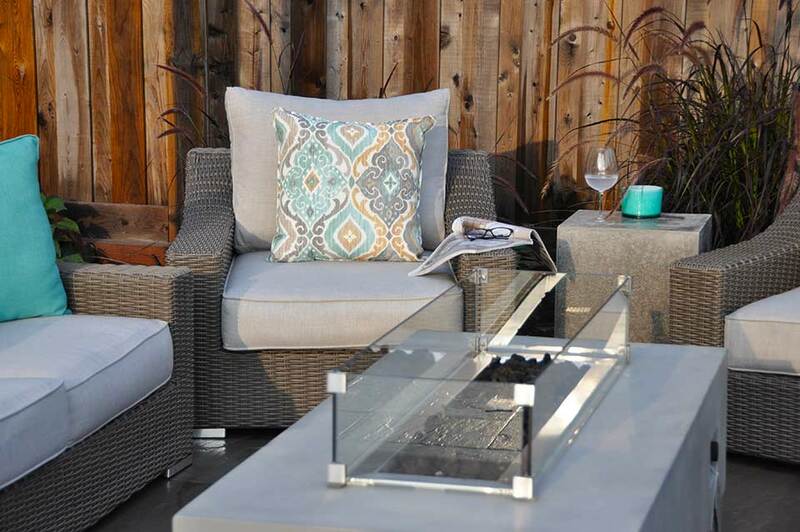 The Cast Silver Sunbrella cushion is the perfect match to bring elegance to the design. 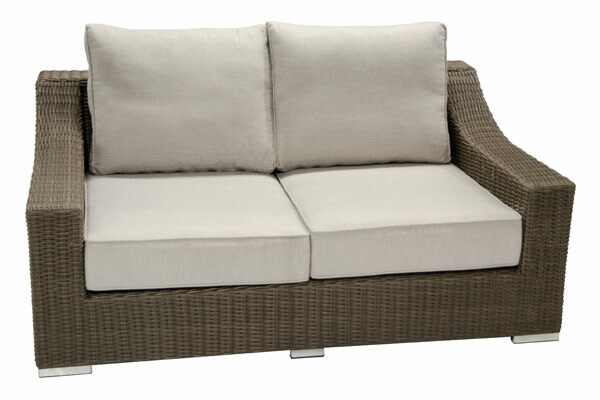 This collection is fairly low seated, but probably the most comfortable sofa set on the market. 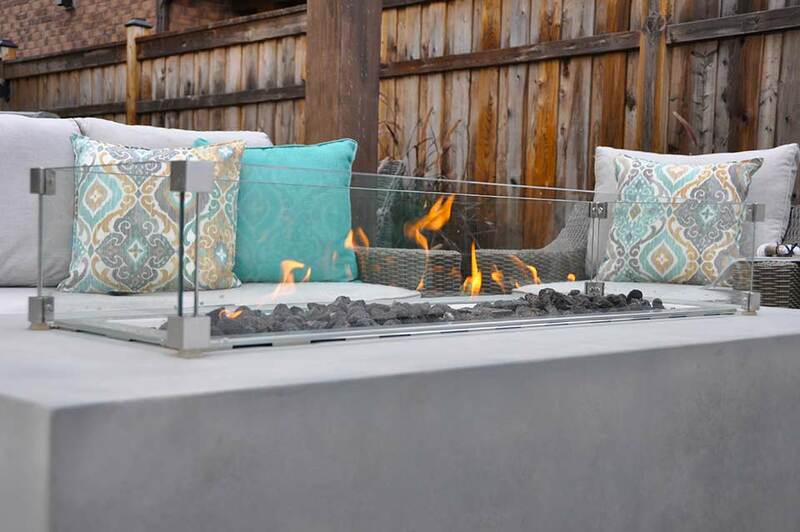 Enjoy every minute outside with family and friends as you lounge on your back patio or by the pool. 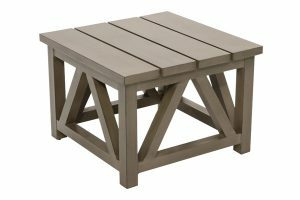 Club Chair: 41" x 41" x 27"
This Rustic X-Brace 24" Square Side table gives you lots of room to place snacks and drinks outdoors. The Taupe finish coordinates with many groups, but compliments the taupe grey/brown warm weave of the Coral Beach Wicker perfectly. Aluminum Frame. 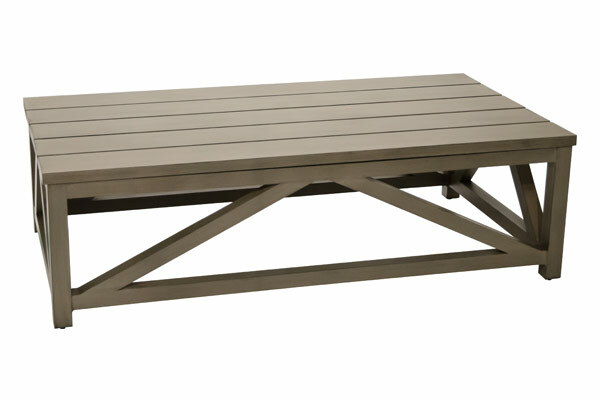 This oversized coffee table won't cause issues when you have lots of food to serve your guests. 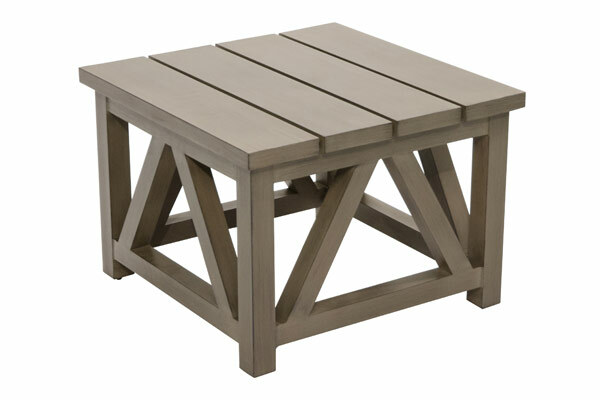 The 32"x60" Coffee Table matches the rustic X-Brace design of the end and dining table in the Coral Beach collection. Aluminum Frame. 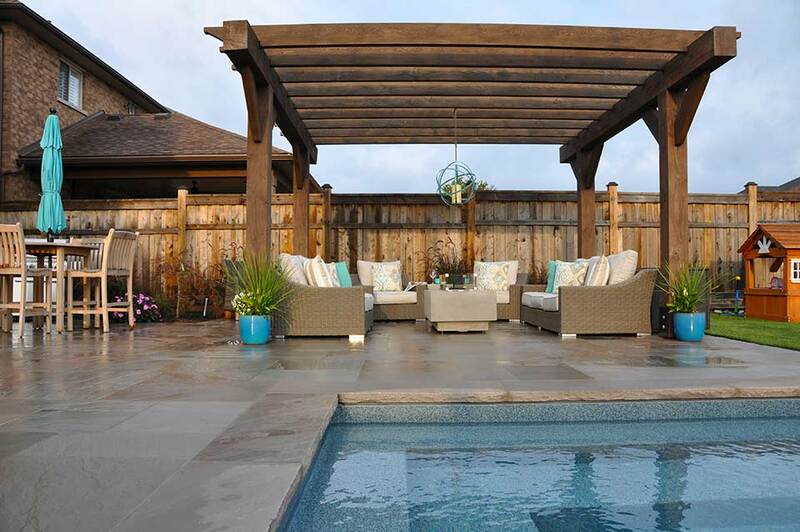 The Coral Beach is the a unique patio grouping exclusive to Pioneer. It has an oversized arm and extended seat depth so you can sink into the furniture for hours and enjoy the summer comfortable and without worry. Complete with Cast Silver Sunbrella Cushions. 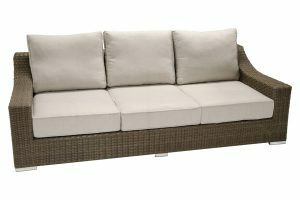 The nice thing about the Coral Beach collection is that you have the option of a loveseat or sofa to complete your seating space. Still with the extended seat depth and wide arms so you can rest a drink or sit comfortably. Complete with Cast Silver Sunbrella Cushions. For larger spaces, the Coral Beach Sofa will seat 3-4 people. At 41" Deep and 86" long, it provides ample room to lie outside or cuddle up with friends and family outdoors. 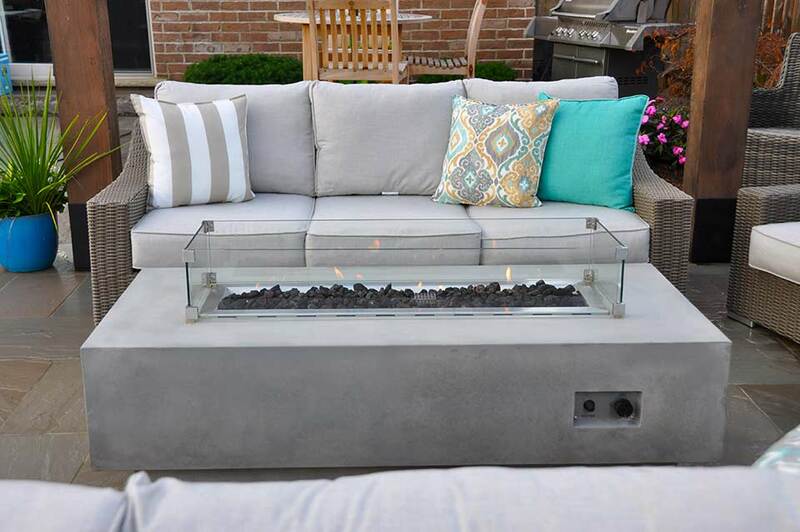 Complete with Cast Silver Sunbrella Cushions. 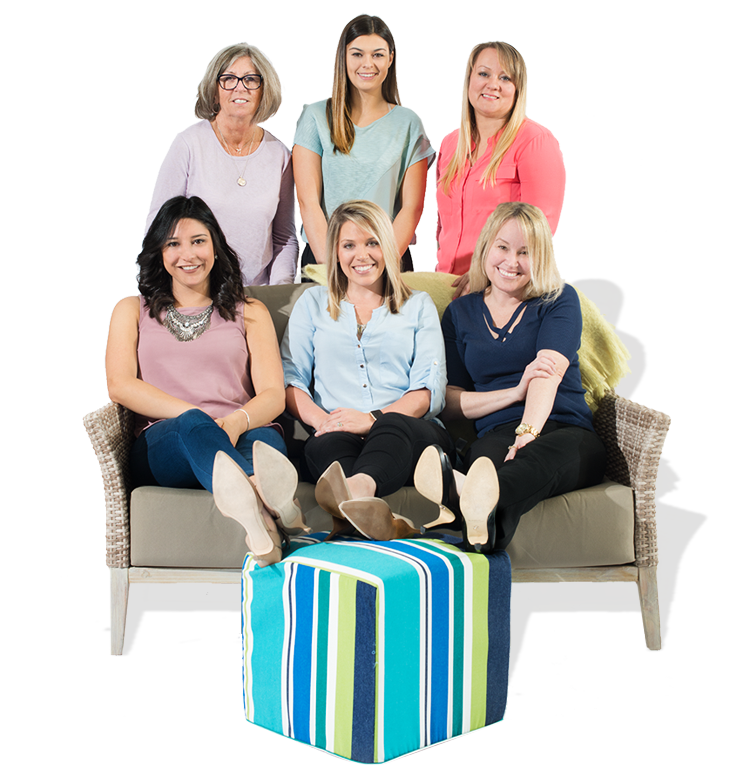 Ask one of our experts how to set up your space.